SuperOrganism is an exhibition/store that took place during Dutch Design Week 2010 (23-31 October) at the Nova gallery in Eindhoven, The Netherlands. The exhibition is curated by the Ant Hill Collective. SuperOrganism concept. SuperOrganism relates to the interdependency between entities and how they are subject to a bigger system. Like the cell that is part of the organ, which is part of the body, it follows that the individual is part of a community, which is part of the city and so on. The interrelations between object, designer, user, science, nature, technology, society and other fields in their different scales, as well as between disciplines in design, are the focal point of this show.Involving a range of international designers, the SuperOrganism event will exhibit and sell a wide variety of objects, from print and jewelry to lighting and furniture. SuperOrganism will offer the public the possibility of becoming part of it by bringing home affordable products. Any visitor, from design student to design aficionado, will be able to find something within his/her own price range, becoming part of the SuperOrganism himself. 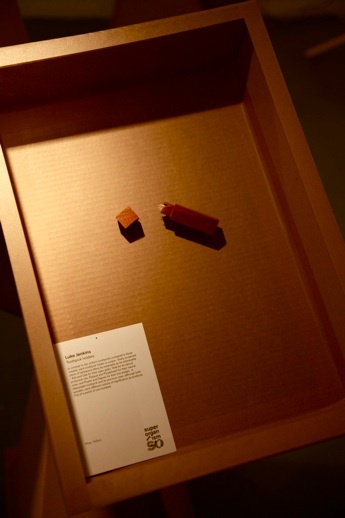 As a single living organism who is composed of smaller elements that make a whole, the exhibition was formed by a single module, a cardboard pyramid, that repeated in different configurations, gave life to all the exhibition elements, fulfilling the way each product needed to be exhibited. The Curating of the products and interior design of the exhibition was in charge of the Anthill Collective. The graphic identity was made by Daniel Rossi. José de la O is a founder member of the Anthill Collective. If you want to know more about the Anthill Collective and the SuperOrganism, please click here.